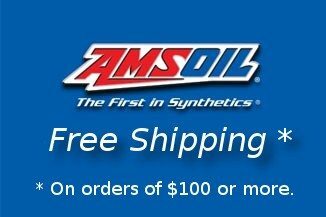 Constructed of a highly efficient synthetic blend media, the AMSOIL SDF88 Oil Filter provides increased engine life and improved filtration efficiency. 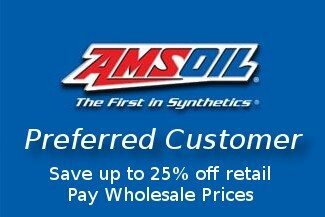 The AMSOIL SDF88 is a cartridge-style filter located on the top of the engine. 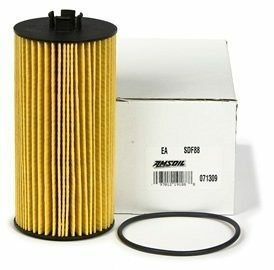 When the filter is removed during servicing, the oil filter housing drain valve automatically opens, draining the oil from the housing to the pan. 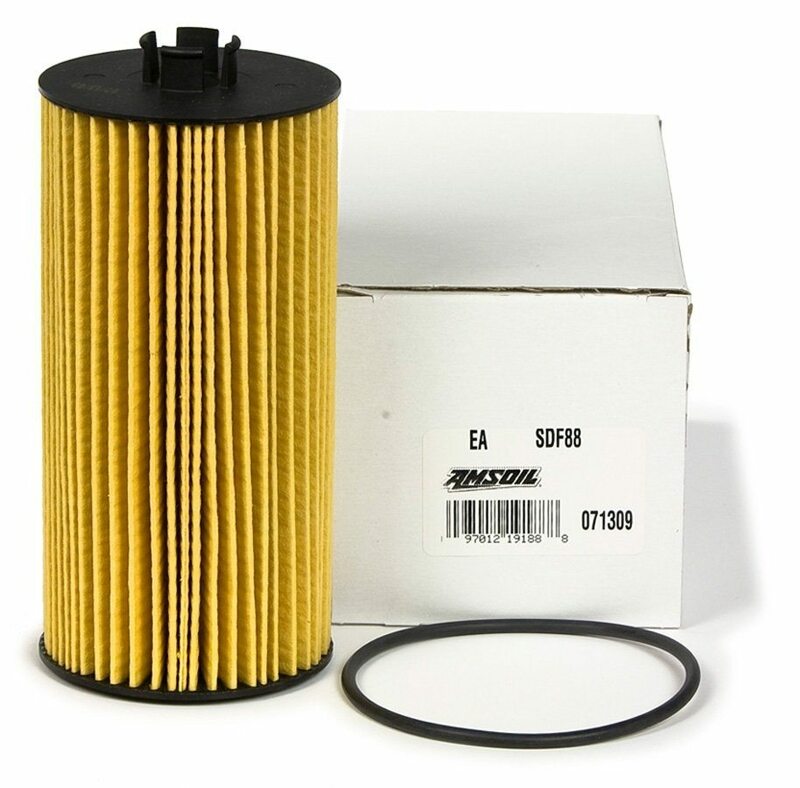 The oil filter base of the SDF88 directs oil to the oil filter, engine oil pressure switch (EOP), engine oil temperature sensor (EOT) and turbocharger oil feed. The filter base also includes an anti-drain back check valve, keeping oil in the filter assembly when the engine is shut off.